Home Blogs Should Parents Snoop On Their Child’s First Phone? When children get started into secondary school many parents think it is the time to get their child a first mobile phone. Without the shadow of the doubt cell phone is the great piece of tech that empowers the user to keep in touch, but at the same time, these digital devices are full of hazards that every parent need to aware of. Especially, parents should know about those social networks likewise Facebook, Instagram, Snapchat, and others alike are present on their children cell phones or not. It is all about keeping children safe online. 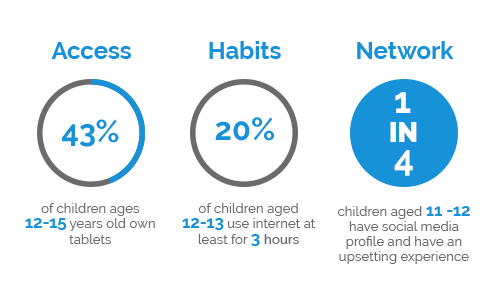 Children between the age of 11-13 usually make the transition to be more independent when they start going to secondary school, they got enough confidence to use the internet along with more varied habits. So, buying your child’s first phone brings more responsibilities for parents likewise they should discuss online safety with them. Now according to the reports American kids these days have huge access on the internet no time ever before. Internet access is not limited to the home, but on cell phone devices wherever they go–so parents these days are facing plenty of challenges in terms of parenting online. Therefore, the question arises should parents snoop on their child’s first phone? Should parents snoop on kid’s phone, where they go, what apps they have visited, whom they are talking to, texting, messaging and sharing on social media? Or should teens leave alone for the realm of privacy for away from doubted eyes of parents? Criteria of children getting their first cell phone have become younger, even 40% of the 5th graders have their own mobile phone. Moreover, almost three-quarters of the American children between the age of 12 -17 have cell phones. Half of the devices owned by the children are smartphones with internet access, dangerous social media apps, websites, and emails. What Makes Parents To Snoop On Their Child’s First Phone? 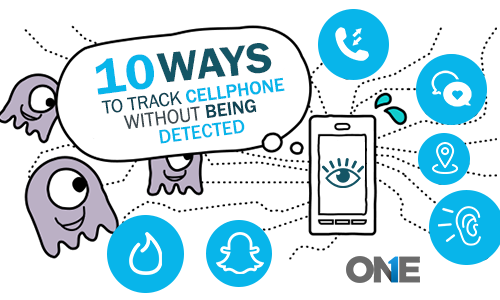 Snooping does not require on your child’s first phone because of the prevalence of cell phones. There are plenty of other factors that really raise the concern of the parents likewise kid’s activities on social media, texting turns into sexting, inappropriate content, online shaming of young teens, dating apps, and excessive screen time. In addition, almost of half of the parents say they don’t like children spend most of the time social media platforms and 64% says they are worried about kid’s online communication with the strangers. Furthermore, young teens between the age of 13 -17 make friends online and 30% tween say they have made five more friends online, according to different PEW poll. Let’s discuss the major reasons behind parents should snoop on their kid’s first mobile phone. Bullying online is one of the biggest threats we have ever faced in the digital world. So, parents want desperately want to snoop on a child’s mobile phones for their safety online. It happens when someone online uses abusive messages are sent text message or email to your child on a cell phone or social media platform by posting something like that. Apart from cyber bullying, it used to happen in playgrounds, bullying beyond the school gates and on the walk. However, bullying online is something like that cannot be under control because it is happening virtually on kids devices connected to the cyberspace. Child obsession with the newly handed over mobile phone is a common thing. So, children love to explore things online having peer pressure they create social media profiles which parents can spy social messaging apps. Therefore, with the passage of time kids more likely to explore things often get used of texting at the end of the day they get started with something new watching peers online get involved into self –obscenity and as well as into sexting. So, sexting is something sending/receiving nudes in terms of photos, sexually explicit messages that are illegal for under the age of 18. It would lead children to cyber bullying, emotional distress and also become factor for online shaming of tween. Young tweens these days are also using dating apps on their cell phones once they become a little tech –savvy. So, you can say it is perfect parenting blind spot that parents needs to aware of, otherwise teens may stalked by the stalkers, bullied by the bullies online and even become the victim of cyber predators. Teens these days are more likely to get exposed to the inappropriate content via popups, undirected links and through plenty of sexually explicit advertisement on social media and on other websites. So, teens usually explore the new stuff online using their cell phone and more likely to become addicted to it. Obviously, when parents provide the first digital device to the children these days kids are expecting from the parents. It means before they got the first smartphone they already know things by the peers. So, once they have it, then they really spend huge time on the screen. So, medically it is very dangerous because excessive screen time may cause digital dementia. Before parents handed over their first cell phone to kids, I am dame sure they are already expecting and desperately waiting for this particular move of the parents. So, parents need to think & realize sort of curiosity. Stay frank with your child once you have handed over the first cell phone. Then discuss with your child about internet activities and ask them to show what they are doing in a friendly way. Talk to them about what sort of things that may come across with and advise your child to do good activities. Tell your child to use other digital devices connected to the internet or not use in communal area likewise in the living room and also set a user account for them. In-case they are not older enough to have digital devices explain the reasons. Don’t let your child use unprotected internet networks, and even put passwords even on cell phones, tablets, and computer machines. You can also put Google on safe search mode. Parents can exploit your child before handing over their first cell phone to make an agreement not to perform certain activities on their device. Moreover, you can say to your kid that mobile phones are not allowed at night, breakfast table and while doing lunch with the family. Politely you can ask your children about the social media activities likewise what social apps they are using, to whom they talk, send messages, multimedia and other activities they do. The contemporary cell phones these days have parental controls that enable you to restrict your activities within the boundaries. However, avoid using these filters when children mobile phone connected to the internet. If you think all the above mention tips and tricks are a waste of time or you don’t have enough time to do all these things being a busy father or a single mother. Then you simply activate the mobile phone monitoring app on your child’s first phone and start monitoring their each and every single activity. It empowers you to record and listen to the calls incoming and outgoing in real –time with secret call recorder. Moreover, you can monitor text messages, SMS and MMS and further you can get to know about the browsing activities of your child. In addition, you can snoop into children social media profiles and get the logs in terms of messages, conversations, audio-video call logs, shared media and Voice messages. Further, you can apply live screen recording on the child’s phone and get to know each and every single activity in real –time. last but not the least, you can remotely control your child’s phone with remote phone controller that enable you to view installed apps, block messages, incoming calls and block internet access in-case of having an emergency to make sure child’s online safety. Mobile phone parental control app enables parents to remotely snoop on child’s phone and make sure to parents to keep them updated about all the activities they have done so far. Snooping does not require on your child’s first phone. 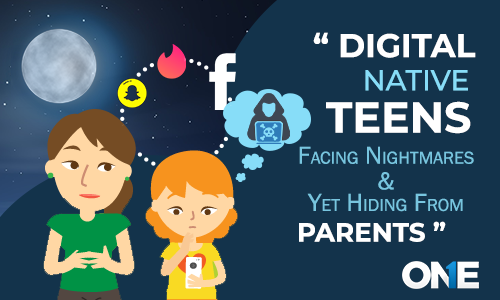 Parents should snoop kid’s activities on social media, sexting, inappropriate content, online shaming of young teens, dating apps, and excessive screen time. Previous post Youth Radicalization Online: New Emerging Challenge for Parents Next post Is Live-in Relationship or Cohabitation Pervasive Through the Digital World?